We are currently in the midst of the 100th anniversary of World War One, but recent years have also marked the 200th anniversary of the Napoleonic Wars, a conflict in which tens of thousands of Irishmen fought. As anyone who has been on the tour of Midleton Distillery will be aware, part of that site was in use as a military barracks around this time. Unsurprisingly many men from Midleton and the surrounding parish ended up in the army- it is likely that recruiting parties were a regular sight around the town during the wars with France. Those that joined up embarked on lives that took them from East Cork to far flung locations, like the West and East Indies, to battles in Portugal and Spain, and even to Waterloo. 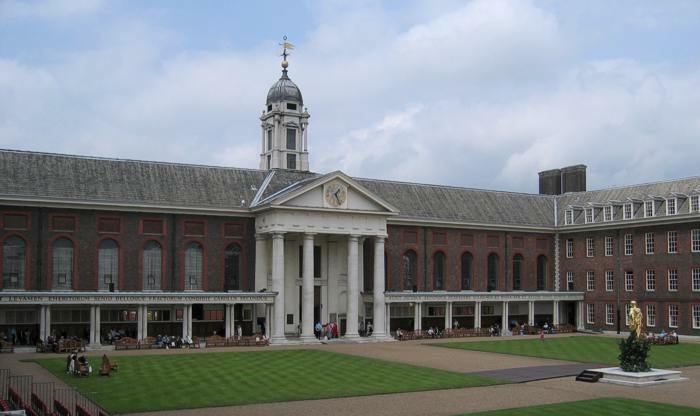 After their service some went through soldier’s homes, such as the (still famous) Royal Hospital in Chelsea or the Royal Hospital in Kilmainham. The records of these institutions allow us to have a look at the service of some of these local men, many of whom were born well over 200 years ago. Here are the stories of 21 of them; some enlisted as young as 13; some were wounded multiple times, often in one of the great battles of the 19th century; some served in famous regiments, like the 95th Rifles (made even more famous by the fictional character Richard Sharpe); some stood in square while being charged by French cavalry at Waterloo. All had extremely hard lives. You can find out more about them below. John was born in the parish of Midleton around the year 1790. On the 9th February 1806, at the age of 15, the shoemaker enlisted in the 50th (West Kent) Regiment of Foot in Midleton, for unlimited service. He remained in the regiment for the next 12 years. 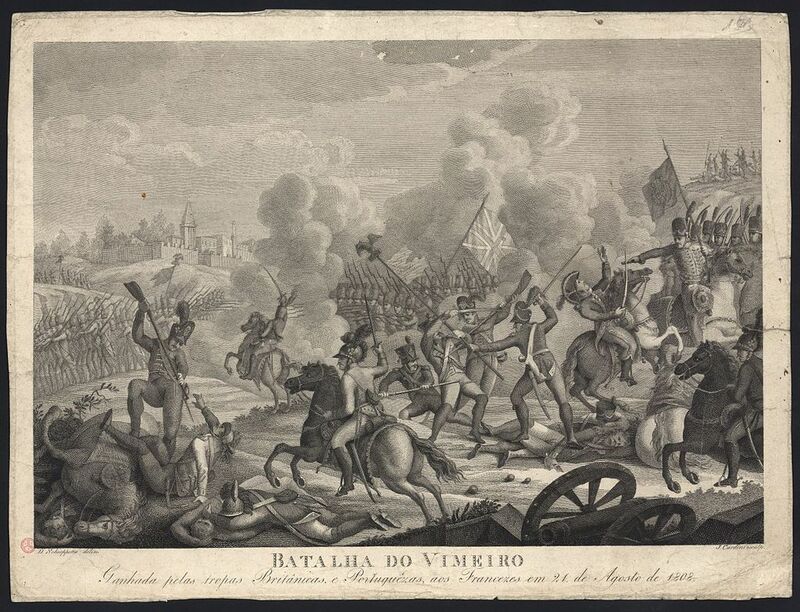 In 1808 the regiment went to Portugal with Arthur Wellesley and fought the Battle of Vimeiro on 21st August that year, where the 50th participated in a number of bayonet charges which helped to win the engagement. During the fighting John was shot in the right leg. He recovered but suffered another gunshot wound in the Pyrennes on 25th July 1813. He was discharged in 1818 at the age of 27, when he was described as 5 feet 4 1/2 inches tall, with dark brown hair, blue eyes and a fair complexion. David was born in the parish of Midleton around the year 1790. The butcher enlisted in the 1st Battalion of the 1st Royal Scots Regiment in Killarney, Co. Kerry on 11th September 1810, for life. He served for a total of 8 years and 55 days. At the Battle of Vitoria, Spain on 21st June 1813 he was hit in the right leg by a musket ball, and he was again shot at the Battle of the Nive, France on 10th December 1813. During Napoleon’s Hundred Days he fought at Quatre Bras, and at Waterloo stood in square formation with his regiment as they repulsed French cavalry attacks. He was discharged on 4th November 1818 and travelled to Kilmainham with his wife and child. He was then 28 years old, 5 feet 9 inches in height, with fair hair, grey eyes and a fair complexion. Pat was born around 1795 in Midleton parish. On 14th July 1808, the 13-year-old laborer enlisted in the 88th Regiment of Foot (Connaught Rangers) at Maldon, Sussex. He signed on for life and would ultimately serve for more than 14 years. During the Peninsular War in Portugal and Spain he was a drummer/trumpeter, and was a private for the last two years of his service. He also served in Canada, and participated in the march to Paris with the army of occupation, where the regiment served until 1817. He spent 12 years as a drummer/trumpeter and two years as a private. He was 27 years of age when he was discharged, having suffered an injury to his elbow. He was described as 5 feet 6 1/4 inches tall, with brown hair, grey eyes and a fresh complexion. John was born in Midleton parish around 1791. Like John Condon he enlisted in the 50th (West Kent) Regiment of Foot in Midleton. The 15-year-old carpenter signed on for unlimited service on 12th February 1806. He would spend the next 12 years in the army. Like John he was wounded at the Battle of Vimeiro on 21st August 1808, when he was shot in the left leg. He was again shot, this time in the right leg, during the Battle of Corunna on 16th January 1809. 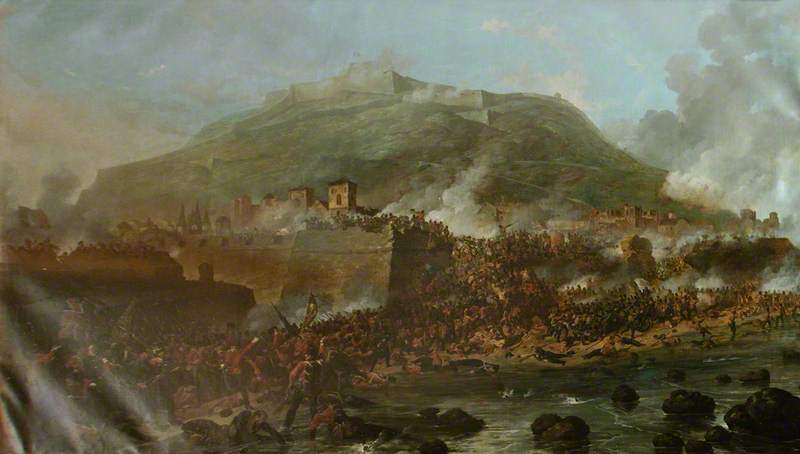 He received a third wound at the Battle of Vitoria on 21st June 1813 when he was hit in the cheek. Along the way he found time to get married, and when he was eventually discharged he was 27-years-old. He was described as 5 feet 2 inches in height, with sandy hair, grey eyes and a fair complexion. John was born in Midleton parish in 1781. 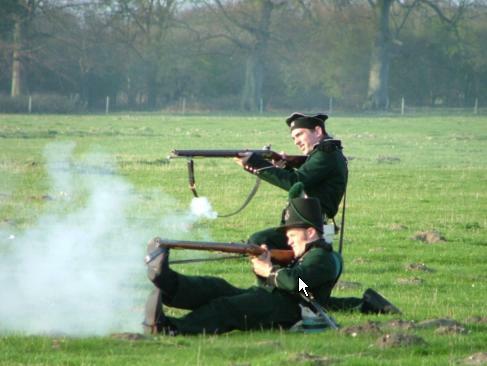 On 7th January 1800 the laborer enlisted in the 68th Foot, better known as the Durham Light Infantry. He served with them in the West Indies between 1801 and 1806, and was present when it was converted to a Light Infantry unit in 1808. He participated in the 1809 Walcheren Expedition in the Netherlands and then served through the Peninsular War, a campaign in which they lost 364 men dead. John spent 7 years as a Sergeant in the 68th, and was wounded at the Siege of San Sebastián in Spain on 31st August 1813, when a musket ball entered his right cheek, before exiting his head behind the right ear. John recovered, and stayed with the regiment until 24th January 1820, when he was discharged due to disbandment. He joined the 3rd Regiment of Royal veterans on the 25th January 1820, staying with them until the 1st June 1821. John had spent 7 years as a Sergeant in the 68th Foot and was discharged due to disbandment. When he was discharged he was 40-years-old and was descried as 5 feet 7 inches in height, with brown hair, grey eyes and a fresh complexion. He had been released as he had suffered a paralytic stroke, as a result of which he was described as being in a ‘state of insanity’. His submission went on to state that ‘his truly deplorable situation (which is easier felt than described)’ would lead to him being admitted into a ‘public asylum for lunatics’ as he was unable to care for himself. Michael was born in the parish of Midleton around 1781. The weaver enlisted in the 2nd Battalion of the 42nd (The Royal Highland) Regiment of Foot in the mid 1790s. After 10 years service he was discharged on 9th May 1806 as a result of bad sight and general bad health. He was given a bounty of 19 shillings and ten pence so he could get home from England. John was born in Midleton around 1791. The laborer enlisted in the 71st (Glasgow Highland Light Infantry) Regiment when they were stationed at Midleton on 11th May 1812. He was then 21, and signed on for unlimited service. The 71st left Ireland for the Peninsula in 1808 and served throughout that conflict. 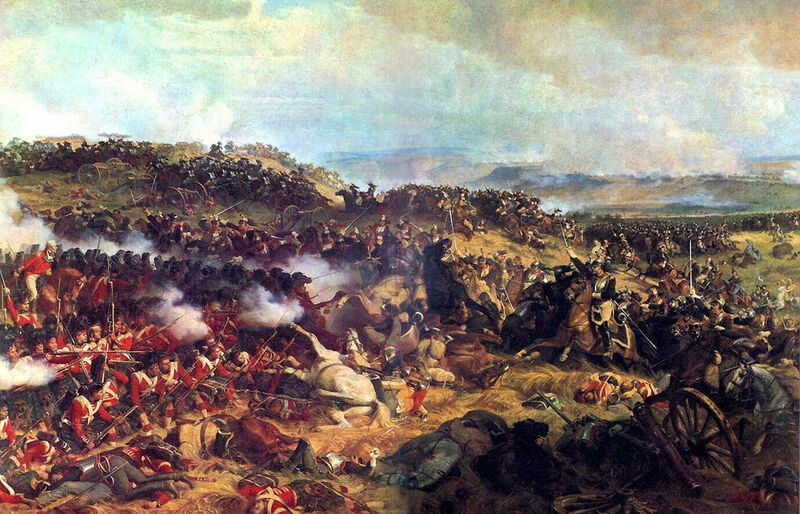 They were also present at the Battle of Waterloo, where they lost 16 officers and 198 men killed and wounded. They remained in France until 1818. John served the regiment for 17 years and 294 days until his discharge on 7th August 1829 at the age of 39. He had contracted pulmonary disease two years previously and it had now become too severe for him to continue in service. He was described as 5 feet 11 1/2 inches tall, with brown hair, brown eyes and a brown complexion. He had pulmonary disease of two years standing by the 7th August 1829. Born in Midleton around 1791. The laborer enlisted in the 85th (Bucks Volunteers) Light Infantry Regiment in Ennis, Co. Clare at the age of 19 on 2nd May 1809, for unlimited service. He may have participated in the 1809 Walcheren Campaign in the Netherlands but would certainly have gone with the regiment to the Peninsula in 1811, where they first saw action at Fuentes de Oñoro. They suffered severe casualties in the assault on Fort San Christobal and were sent home to recruit, returning to the Peninsula in 1813. They headed for North America in 1814. Edborough was transferred to the 3rd Garrison Company in 1815, until he was discharged on 24th August 1816 suffering from chronic asthma. He was then 25 years of age, and was described as 5 feet 7 1/2 inches tall, with light hair, grey eyes and a pale complexion. David was born in Midleton around 1791. He also enlisted in the 85th (Bucks Volunteers) Light Infantry in Ennis, Co. Clare on 2nd May 1809- the same day as Frans Edborough. David spent a total of 18 years in the service, leaving the regiment on 31st July 1831. Born in Midleton around 1788. The 18-year-old laborer enlisted in the 16th Regiment of Lancers at Castlmartyr on 10th May 1806, for unlimited service.He served throughout the Peninsula Campaign and was also present when the regiment charged at the Battle of Waterloo to cover the withdrawal of the Heavy Brigade. He spent 16 years and 138 days in the army, eventually being discharged due to pulmonic disease on 10th April 1822 at the age of 34. He was described as 5 feet 9 1/2 inches tall, with sandy hair, grey eyes and a fair complexion. Born in Midleton around 1781. The laborer enlisted in the 2nd Battalion of the 88th Foot (Connaught Rangers) at the age of 27 on 28th September 1808. He served for 2 years 255 days, and would have at the Battle of Busaco where the 88th charged the French with bayonets. His spine became diseased as a result of an accident while on duty in Portugal, forcing his discharge from the army on 6th June 1811. He was then 30 years old and was described as 5 feet 5 inches tall, with sandy hair, grey eyes and a fair complexion. Born in Midleton around 1797. He enlisted in the 44th (East Essex) Regiment of Foot in Midleton in on 15th December 1815. He was then an 18-year-old laborer. The regiment arrived in the Peninsula in 1810 and he may have served at Waterloo. He eventually went with the regiment to the East Indies. He was discharged on 26th February at the age of 29 after 10 years and 94 days service. The reason given was amputation of his left forearm which resulted from a gunshot wound in action. This may have occurred during the First Anglo-Burmese War. He was 5 feet 6 inches tall, with brown hair, hazel eyes and fair complexion. John was born in Midleton around 1795. He enlisted in the 88th Foot (Connaught Rangers) at Fermoy on 12th January 1814, when he was 19 years old. He served for 12 years and 335 days but was described as an ‘indifferent’ soldier. He was discharged due to pulmonary problems and a liver complaint on 20th July 1826. He was then 32, was 5 feet 7 1/4 inches in height, with brown hair, hazel eyes and fresh complexion. Richard was born in Midleton around 1790. The tailor enlisted in the 57th (West Middlesex) Regiment of Foot at Portsmouth on 7th September 1811 at the age of 21. Shortly after his arrival in Portugal in 1812 he had an attack of rheumatism while at Abrantes. This would eventually result in his discharge years later, on 8th November 1818, after he had spent 7 years and 120 days in the army. He was then 28, 5 feet 4 inches tall, with brown hair, grey eyes and a fair complexion, by occupation a tailor. Michael was born in Midleton in 1775. The 25-year-old laborer enlisted in Captain Darling’s company of the 68th Regiment of Foot (later the Durham Light Infantry) around 1800. He served 5 years and 5 months with the regiment and had previously served 4 years and 7 months in the Meath Militia. He was discharged on 31st May 1805, as he was incapable of further service due to lameness in the left foot. Born in Imokilly, Midleton around 1776. He was a 24-year-old laborer when he enlisted as a private in the 95th Rifles, the green-jacketed regiment that would become famous (and in which the fictional character Richard Sharpe served). He was a member of the regiment from the 25th December 1802 until the 27th July 1813, serving throughout the Peninsula Campaign. While back home as part of a recruiting party he deserted on 14th June 1810, but surrendered himself on 4th May 1811 and returned to service in the unit. While on campaign in Spain in 1808 he contracted a disease of the heart which was what ultimately led to his discharge.He ended his service with 294 days a Corporal in the 2nd Royal Veteran Battalion before leaving the military on 14th May 1816. Richard was born in Midleton around 1782.He enlisted in the 2nd Battalion of the 43rd (Monmouthshire Light Infantry) Regiment on 7th May 1804. 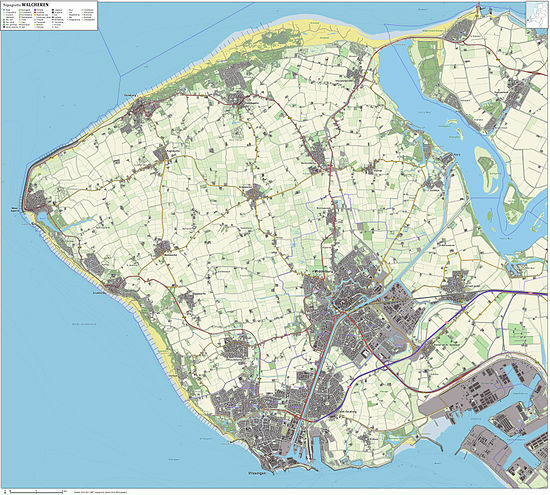 They went to the Peninsula in 1808 and took part in the retreat to Corunna, and then the Walcheren Campaign in the Netherlands before returning to the Peninsula. Richard left the regiment on 21st July 1810, joining the 4th Garrison Battalion on 22nd July 1810. When he was discharged on 12th December 1810 he was nearly blind. Now 38 years old, he was 5 feet 3 inches tall, with brown hair, grey eyes and a pale complexion. Thomas was born in Midleton around 1766. The 28-year-old served in 1st Battalion of the 82nd (The Prince of Wale’s Volunteers) Foot for only 9 months. Aged 28. He caught cold while on the march to Shrewsbury, which brought on consumption and made him unfit to earn a livelihood. He was discharged on 15th September 1794. Jacob was born in Midleton around 1764.He served in the 85th (Buck Volunteers) Foot from January 1792 to December 1794, before joining the 60th (Royal American) Foot in December 1794 and staying with them through to June 1804. Jacob joined the 4th Royal Veteran Regiment in August 1807, staying with them until August 1810, before serving in the 12th Royal Veteran Regiment until June 1814. Thomas was described as being born in Glouthaune near Midleton around 1787. The weaver enlisted for life in the 37th (North Hampshire) Foot at Boyle, Roscommon on 5th May 1812, at the age of 25. He served in the regiment for 10 years and 227 days, before his discharge on 24th October 1822 as the result of a fractured arm. Brillian Damian. An excellent underused resource. The names are so common in East Cork/Midleton area. I’m intrigued by all the ‘English’ regiments that these men joined – it seems they may have been based in Ireland, or they may have sent recruiting parties around the country. Thanks! By the way well done on the information boards down the Coolbawn they are really good! I want to find out more about the use of the Barracks- I have come across a number of references to regiments stationed there, including German riflemen in this period. They talk about it being bigger than Enniskillen Barracks. I would say some of the men just went up to regiments based there, while others were attracted by different recruiting parties as they moved around. There are many more of these records for Midleton men, but I restricted myself to those who had served during the Napoleonic Wars. Thanks Damian! By the way, Midleton was a base for British Army units during the Napoleonic Wars – the King’s German Legion was based here at certain times between 1805 and 1815. Their barracks was the former mill constructed by Marcus Lynch – it now stands in the middle of the Jameson Heritage Centre. This military history is still unexplored – but several other units were based in the town over that period, probably in transit to the Iberian Peninsula or North America (War of 1812). It’s amusing to think that the three languages spoken in Midleton at one point were Irish, English and…German!. Yeah that is a topic I am keen to explore as much as possible. I have been gathering references to different regiments based at Midleton during the period- even came across the advertisement from Lynch to sell his machinery having given over the mill to the army! When you combine these type of military guys with the amount of sailors etc. around Ballinacurra it must have been quiet a sight!